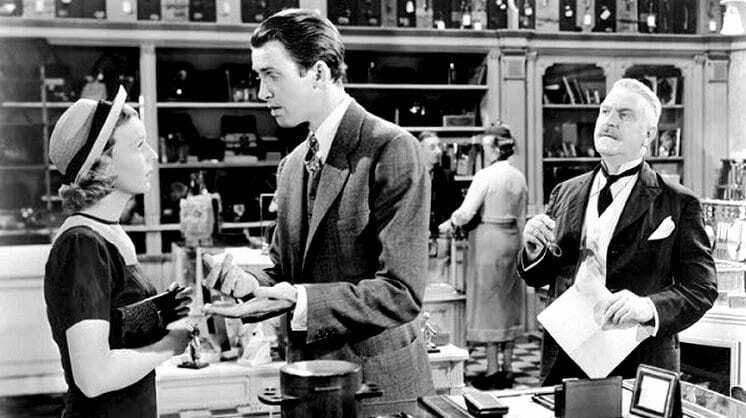 I’m not sure when I actually saw the film The Shop Around the Corner, but I know I had seen Ninotchka by the time I finished sixth grade. Ninotchka was directed by Ernst Lubitsch. So was The Shop Around the Corner. Both movies are black and white classics and both films hatched musicals based on the original releases. I never liked Silk Stockings, which was based on Ninotchka. She Loves Me, based on The Shop Around the Corner features a book by Joe Masteroff, lyrics by Sheldon Harnick, and music by Jerry Bock. It premiered on Broadway in 1963. Both Peg and I love it. I grew up working in my parents’ motel in Ponders Corner. As a teenager I began buying records: rock and roll 45s, and jazz, country, and Broadway music on record albums. I purchased by record player from Sarge’s Pawn Shop, which was about fifty feet away from our motel. 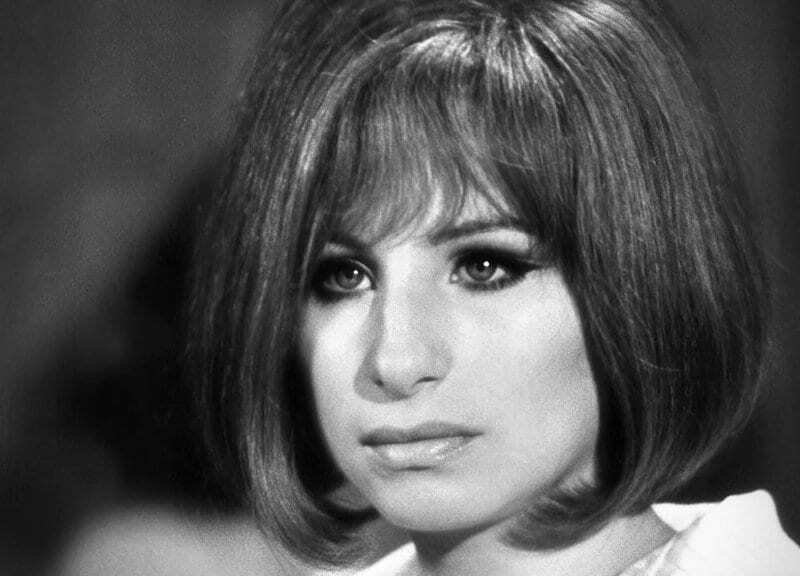 One of the first albums I purchased was Barbra Streisand’s People, which featured the romantic song Will He Like Me. At the time I didn’t know the song came from the Broadway musical She Loves Me. One of the first record albums I ever purchased was Barbra Streisand’s People, which featured the romantic song Will He Like Me from the Broadway musical She Loves Me. Over a decade later Peg fell in love with the music and bought the record album during the 1970s. At that time Peggy and I were buying houses and renting them out. One house just off Sixth Avenue was fairly large. I was repainting the interior walls and so I brought along my portable turntable and the She Loves Me record to keep me company. Someone broke in and stole my portable record player and the record. One of my favorite tunes on the record was “Grand Knowing You,” which had been a show stopper for Jack Cassidy, who was married to Shirley Jones, who starred in several musicals. Jack Cassidy was almost always cast as the same character he played in She Loves Me: the womanizing Mr. Kodaly. Over the years we have purchased the sheet music and two CDs of She Loves Me. “The plot revolves around Budapest shop employees Georg Nowack and Amalia Balash who, despite being consistently at odds with each other at work, are unaware that each is the other’s secret pen pal met through lonely-hearts ads.” (Wikipedia) The story line is all about falling in love. It’s touching and funny at the same time. The music is wonderful. In the mid-80s we saw a PBS version of the Broadway production and recorded it on our VCR. Somehow months later it got recorded over. We were heart broken. We have a Click! DVR and so we recorded The Shop Around the Corner. I can’t tell you how many times I watched it. It would relax me and often I would be asleep in seconds. One day the file just disappeared. We’ve seen three live productions of She Loves Me. One was vastly inferior. I left at intermission. One actor was so bad I called him the black hole of talent. Anyone who got close to him on stage had all of their talent sucked out of them. It was so sad. Seattle Musical Theatre had a nice production, but our absolute favorite was from the University of Washington School of Music. It played two weekends. We had front row seats and saw three live performances over those two weeks. If we could have scheduled more, we would have been there! Friday, October 20th we attended the Tacoma Executives Association’s 100th Birthday Gala. We had a great time, but returned home and exhausted just before nine in the evening. Peg sat in her living room chair, while I checked emails in my office. Soon she called me over the intercom. A Great Performance presentation of She Loves Me was scheduled at nine. I flew down the hall to our bedroom and set up recording with only seconds to spare. Peg joined me fifteen minutes later and we watched the entire production from bed. We really enjoy She Loves Me, and yet . . . I still love The Shop Around the Corner as well. A story, told well never loses its power. In less than 24 hours we’ve watch the entire performance once, and seen Act Two three times. If you see the musical being performed anywhere in the Pacific Northwest buy tickets and give us a call. We really enjoy She Loves Me, and yet . . . I still love The Shop Around the Corner as well. A story, told well never loses its power to entertain.